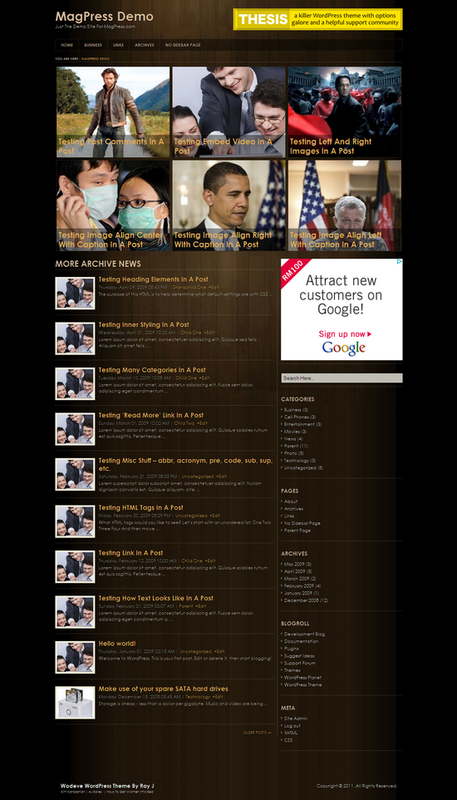 Wodeve is a 2 columns fixed width WordPress theme by MagPress.com. This WordPress template has theme options, custom posts, featured categories, Adsense ready, etc. I didn´t know this website! Now, I´m a follower of you. This theme is muy favourite.